The interesting and often frustrating thing about natural health products is that there seems to be more and more of them introduced every day—oils, leaves, powders that can miraculously fix what is currently ailing you. Take camphor essential oil, for example. It’s been making the rounds in online magazines and health blogs, but what is camphor oil? What can camphor oil do for you and your health? Assuming it can do anything at all. Luckily, we are here to help. We’re going to take a close look at camphor oil, from its health benefits to its possible side effects. You may have heard about camphor oil, but you may not be exactly sure what it is. The camphor tree is an evergreen tree originally hailing from Japan and China, but due to its resiliency, it can be found all over the world, including parts of North and South America and even Madagascar and Egypt. Camphor oil is oil extracted from the leaves, bark, wood, and roots of the tree via steam distillation. The oil itself is made up of alcohol, terpene, borneol, camphene, pinene, camphor, and safrole. 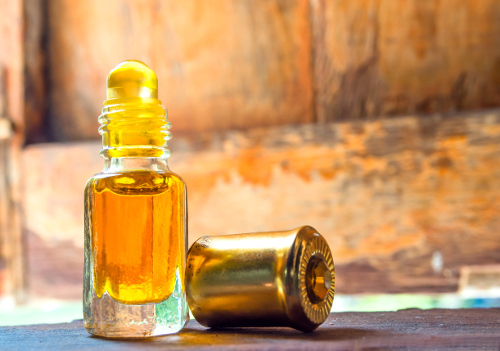 Now that you have a better idea of what camphor oil is and where it comes from, we can move on to its health benefits and what it can actually do for you. You’re probably wondering what camphor oil is used for and what the health benefits of camphor oil are. Truthfully, camphor oil can do a lot of good things for your health. When applied to the skin, it can feel cool and reduce the pain from injuries like minor burns. The properties may also help camphor oil to work in calming muscle spasms. Camphor oil may be able to help treat fungal infections due to its various medicinal properties. It could be used as a topical treatment for certain types of toenail fungus, for instance. Due to camphor oil’s ability to facilitate blood flow, it may be able to help out with rheumatism and various arthritis pains as well as help with swelling caused by conditions like gout. Camphor oil has a strong odor that can help open up your nasal pathways as well as the bronchi, pharynx, larynx, and lungs. For this purpose, it’s best to use it as an inhalant and/or balm for chest rub. The strong odor of camphor oil also happens to make it a good insect repellent, especially for pests like flies and moths. Camphor oil may be able to treat inflammation issues. It may also be able to help reduce the swelling in the joints caused by things like arthritis, as referenced above. Camphor oil can help settle your stomach and allow gas that may be trapped to expel from the body in a natural manner. Camphor oil can help treat certain skin issues like irritation, dryness, and itchiness. Camphor could potentially heal the skin suffering from these ailments. As you can see, camphor oil does have a great number of health benefits in everything from decongestion to joint pain. But alas, as with a great many things that are this good for you, there are also a few side effects that you should be aware of before adding camphor oil to your health regime. Yes, camphor oil has a number of very good health benefits for you, and if we left this article at that, you might have run out to get some right away. Unfortunately, camphor oil has several side effects that are very important for you to know about. Camphor oil is poisonous. It’s toxic enough that you should avoid ingesting it, and if you are using it, be sure that it doesn’t go into a cut or open wound where the poison will end up in your bloodstream. When using camphor oil, it’s best to dilute it or mix it with another oil to reduce the toxicity. Injecting camphor oil can also do damage to some of your organs like your liver. If you are pregnant or breastfeeding, do not use camphor oil for anything as it may damage a fetus or infant both physically and neurologically. There is some evidence to suggest that, while camphor may help relieve issues with muscle spasms, it may also cause seizures if ingested. We previously noted that camphor oil can be used for minor injuries and burns, but severe burns should not be dealt with by using camphor oil as it may get into the bloodstream and cause more damage. Camphor oil displays a fair amount of narcotic properties, and there are known cases of people becoming addicted to breathing camphor oil. It can explode. You read that right—camphor oil can explode if placed in or near direct heat or a microwave. If you are using camphor oil on your hair or skin, use very small amounts. As you can see, camphor oil does run more than a few risks. If you are unsure of how it may react with your current health goals, consult a doctor first. Your physician can advise you on whether camphor oil is right for you or should be avoided completely. The good thing about camphor oil is that it does have numerous health benefits that could help you out with some day to day issues. The bad news is, if taken or used the wrong way, camphor oil can do major damage to your body and mind. The best piece of advice we can give you regarding camphor oil is to be very careful when using it. But, if you aren’t sure what dosages to use the camphor oil at safely, contact your doctor and ask. It’s better to ask now than to see that doctor later due to possible liver failure. “11 Surprising Benefits Of Camphor Essential Oil,” Organic Facts; https://www.organicfacts.net/health-benefits/essential-oils/camphor-essential-oil.html, last accessed June 16, 2017. Bhatt, P., “10 Unexpected Side Effects Of Camphor,” Style Craze, January 30, 2017; http://www.stylecraze.com/articles/unexpected-side-effects-of-camphor/#gref, last accessed June 16, 2017.